Si les Français peuvent avoir le recul nécessaire pour comprendre mon désarroi, comme vous avez pu le lire sur Radio VL, il m’a été difficile d’expliquer aux Anglais pourquoi cette adaptation ne mérite pas autant de succès qu’elle suscite (4 BAFTAs, et une dizaine de nominations aux Oscars). J’ai jugé donc utile de traduire mon article, en Anglais à gauche, en Français à droite. If most of the French people understand me when I say how disappointed I am concerning this ridiculous adaptation, English people usually do not. As the Oscars are coming up, I translated my article in order to make them understand their mistake. Consequently, the left side is in English, the right side is in French. The original French book is more famous in France than the musical in Broadway : it is a literary reference. Yet, we have been waiting for the planned confrontation. 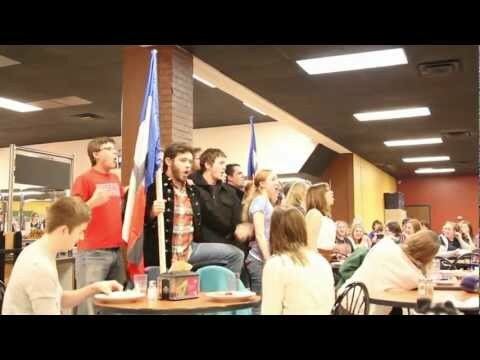 We knew that someday a Yankee version of Les Misérables would appear in our Gaul theatres. For the best, and especially for the worst. Let me get this clear: if I had to gather my favourite authors under my own private French Pantheon, Victor Hugo would not be one of them. However, he has been an essential artist of the French culture. Its presence is effective in the Parisian Panthéon. Although I would not die for him, I can not forget the Hugo-mania that drove the young defenders of the Republic to shave their fringe in order to have a forehead as big as the Poet’s. He wanted his audience to call him like this, as he pretended he subscribed to God’s RSS feed. As a matter of fact, I went to the theatre full of doubts as I remembered Tom Hooper’s King’s Speech, which was nice but not that awesome. As I came into the dark room, partly motivated by the Oscar nominations, I realised that the only memories I had of a Victor Hugo’s musical was from The Hunchback of Notre-Dame, which has been successful fifteen years ago in France. Monument littéraire français, phénomène culturel à Broadway, il fallait s’attendre un jour ou l’autre à ce que Les Misérables version Yankees envahisse nos écrans gaulois. Pour le meilleur et, surtout, pour le pire. Mettons les choses au clair : Victor Hugo ne fait pas partie de mon Panthéon d’auteurs. Force est de constater, cependant, son rôle primordial dans le paysage culturel Français. Sa présence est d’ailleurs effective dans le susdit-Panthéon. Force est de constater également la Hugo-mania, qui poussaient les jeunes défenseurs de la République à se raser la frange pour avoir un aussi grand front que le Poète. Vous savez, celui qui était abonné au fil RSS de Dieu. C’est non sans méfiance que je me suis décidé à visionner la version de Tom Hooper, responsable du gentil mais pas fou Discours d’un roi. J’arrive dans la salle sombre, poussé par les nominations aux Oscars, mes vagues souvenirs de comédies musicales étant occupés par les plaintes de Garou pour une Esméralda-pop-queen. In 1823, Jean Valjean, the exemplary mayor of Montreuil, tries to instill in his fellow-citizens the concept of Catholic charity that saved him when he was a runaway nine years ago. However, Javert, his former jailer, reappears, and offers his service. At the same time, Fantine, a young widow pushed to prostitution dies in the arms of the hero asking him to take care of her only child, Cosette. When he finds her, they flee to Paris. Nine years later, the fate of the characters will cross the path of the rebels and defenders of the Republic. Among them, Marius falls in love with the young Cosette. In order to keep my development polite, I choose to bot any link between this film and the original novel out of my analysis. Purists, if you hear me, just do not see it. The only fact that dialogues and songs are in English, apart from « Monsieur », « Mademoiselle » and so on should be enough to keep you away from it. By the way, those titles are pronounced with a strong accent. It feels more like a cosmopolitan seduction background than Paris from the 19th century. I innocently thought for a moment those accents were chosen on purpose: for instance, Sofia Coppola kept the American accent of Kirsten Dunst in order to translate the superiority of Marie Antoinette over her foreign Court. Contrary to this, we can hear Australian, New Zealand, American, posh and Scouse accents mingling happily with no logic. I am definitely not here to use formal arguments that deny the existence of a Les Misérables material, quite different from the original by Victor Hugo. The poor author would be rolling in his grave if he only knew what he is compared to. I intended to write this article in order to analyse this adaptation of the musical, and explain in which ways it is messed up. Because it is really messed up. I have to admit, however, that the casting is unusually prestigious : half of the poster is dedicated to their names. En 1823, Jean Valjean, maire exemplaire de Montreuil, tente d’inculquer à ses concitoyens la charité chrétienne dont il avait bénéficié alors qu’il n’était qu’un prisonnier en fuite 9 ans plus tôt . Son conformisme est cependant mis à l’épreuve lorsque Javert, son ex-geôlier, réapparaît, mais à son service. Dans le même temps, Fantine, jeune veuve usée par la prostitution, meurt dans les bras du héros en lui demandant de prendre soin de son unique enfant, Cosette, avec laquelle il fuit pour Paris lorsqu’il est démasqué. Neuf ans plus tard, le destin des personnages va croiser celui des Insurgés, dont parmi eux Marius, qui tombe amoureux de la jeune Cosette. Par souci de clarté critique, nous choisissons de passer au-delà du concept initial de la fidélité littéraire. Les puristes devront malheureusement se contenter d’une autre adaptation. Symptôme de ce choix, les dialogues et les chants sont en anglais, mis à part les «Monsieur» et autres «Mademoiselle» prononcés avec un très fort machouillage caractéristique des pré-requis de séduction en milieu cosmopolite. Nul besoin d’analyser un quelconque parti pris esthétique des accents : là où Sofia Coppola avait gardé le phrasé Américain de Kirsten Dunst en Marie-Antoinette pour traduire sa supériorité face à la Cour étrangère, les sonorités néo-zélandaises et Américaines, d’Oxford et de Liverpool se mélangent joyeusement sans faire sens. Non, nous ne sommes pas ici pour user d’arguments formels qui nient l’existence d’une matière des Misérables, bien différente de l’original de Victor Hugo. La comparaison risquerait de faire retourner dans sa tombe le pauvre auteur. Nous sommes plutôt ici pour analyser l’intérêt ou non de cette adaptation du musical, qui a pour l’instant l’avantage d’avoir un casting si prestigieux qu’il encombre une bonne partie de l’affiche. There is a feature that particularly stroke me during the screening : Tom Hooper handles the art of cinema patchwork like no one. Take, for example, the grandiose reconstitution of the sceneries. You can find, in the same square, the Pantheon, the angel of the Bastille and the elephant from the Moulin Rouge next to each other. Of course, they are all in Paris, but would you react like me if a reconstitution of London put Piccadilly Circus, the Globe and Buckingham Palace on the same bridge ? As a matter of fact, this principle has been extended to the actors’ leading. Shameless Tom Hooper picked out for his actors their best previous parts. Helena Bonham Carter and Sacha Baron Cohen have the exact same roles as in Tim Burton’s Sweeney Todd, not to say the same costumes. Eddie Redmayne plays the lovesick-shy-stuck-cheesy guy as what he did in My Week With Marilyn, with Amanda Seyfried who still uses her big cutie eyes, but without any comic potential (Jennifer’s Body) or punchy fun (Red Riding Hood). Eventually, Russell Crowe seems to be cut and pasted from Master and Commander, except that he swapped his blonde wig for a anachronistic «Barbu» uniform (WWI French soldiers). As we all know, World War I was very popular in the mid 19th century. We could argue the same for the fighting scenes which, when they do not subtly echo to Civil War, maintain the cliché of the French, aka the hairy poor hygiene guys, revolutionaries only on Sundays, waving the national flag everyday in the streets when there is no more communist flags available (according to the director’s choice, or the fabric supplier’s one).Tom Hooper is definitely not interested in explaining the historical context of France before the Second Empire. This is too bad for Victor Hugo, because he became with this novel the voice of his generation. I also bet that Hooper has ever opened Victor Hugo’s book. There could be instead a reflexion on the relationship between the United States of America and France, because the musical success comes from Broadway, but there is none. La reconstitution assumée de décors grandiloquents nous pousse à reconnaître au moins un avantage : celui de la très grande capacité à l’art du patchwork. Par exemple, on peut trouver sur la même place le Panthéon, l’ange de la Bastille et l’éléphant du Moulin-Rouge. Ce principe a même été étendu aux acteurs : Tom Hooper reprend, apparemment sans vergogne, des éléments qui avaient fonctionné pour d’autres films, la preuve par trois. Helena Bonham Carter et Sacha Baron Cohen ont les exacts mêmes rôles que dans Sweeney Todd de Tim Burton, pour ne pas dire les mêmes costumes. Eddie Redmayne reprend la même attitude à moitié coincée de l’amoureux transi-timide-saint-nitouche qu’il avait dans My Week With Marilyn, face à une Amanda Seyfried qui use encore de ses grands yeux, sans le potentiel comique de Jennifer’s Body ou punchy assumé du Chaperon Rouge. Enfin, Russel Crowe semble tout droit sorti de Master and Commander, à ceci près qu’il a troqué sa perruque blonde pour un anachronique uniforme de Barbu, très en vogue à la moitié du 19ème siècle. De même pour les scènes de combat qui, lorsqu’elles ne prennent pas des airs peu subtils de guerre de Sécession, se complaisent dans le stéréotype du Français à l’hygiène douteuse, révolutionnaire du dimanche, de préférence avec un drapeau national ou communiste selon le choix du réalisateur (ou selon le stock de la régie tissus). Tom Hooper n’est définitivement pas intéressé par l’explication du contexte historique instable dont Hugo s’était fait le chantre. Il est d’ailleurs fort peu probable qu’il ait pris la peine d’ouvrir le livre de Victor Hugo. Le possible rapport Etats-Unis/France passe également à la trappe. All that Tom Hooper was interested in is the music. Therefore, he added beautiful pictures to the songs, no more, no less. Unsung dialogues are very few in this adaptation that is nearly 3 hours long. « But you just can not compare! », some of you Anglo-Saxon fans may think, « Either you whisper the tunes you know by heart with the screening, with a tear in your eye, or you suffer in silence ». The huge amount of parody songs, flashmobs and memes on the web is quite impressive and proves your interest in this adaptation. 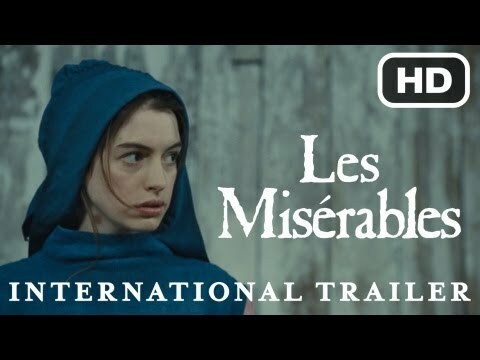 Nevertheless, Les Misérables made me wish for the first time ever to forget my nationality. I failed it. But who is to blame: my French narrowness and intolerance or Hollywood and his constant desire to transform every film into a world-wide cash machine? Once again, Hooper his target when we have to think on his abuse of loyalty towards the musical. I would have more enjoyed myself if his creation were on stage. The perks of shooting a film relies on the fact that you can stress on the emotion, you can repeat it in order to be perfect, you can capture a blink that the audience could not see during a performance. And yet, the director stated happily in the making-of that all the actors sang live. I unfortunately noticed it, as I saw every actor more focused on how to sing loud and well than controlling their funny faces while doing so. All of them failed in finding their character and/or emotion, except maybe for Anne Hathaway. She is the only one who dares not to sing harmoniously as her character Fantine is dying. She dies too early, leaving room for the others and their noisy slaughter (by the way, I would like to give a special mention to the ridiculous finale, shameless and over-cheesy patchwork of the last two hours and a half). You will not see in this film any Burton-style blood spurts or dynamic extreme long shots. Those long colour-saturated shots can not wake me up. I even was subject to homicidal urges : when a character was on the edge of a cliff or a bridge, I just wanted to the push him. I wanted it to end quickly. I even considered pulling out the red cloth from my chair as a makeshift flag to start a revolution in my theatre. Unfortunately, I was on my own in the British territory that praises this ordeal. Silently then, I ruminate in the dark, reproching a serious lack of inventiveness or wit compared to the Broadway opus. It should be Hooper’s fault. 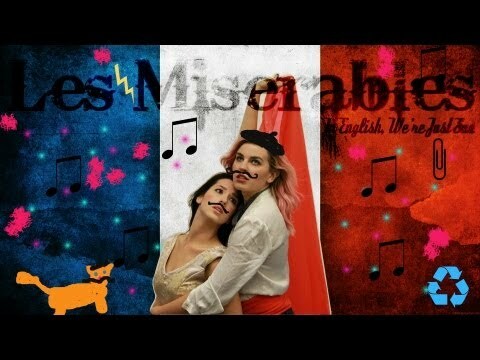 Last but not least, I personally think that the way you nickname the musical «Les Mis’», is quite… miserable. Tout ce qui l’intéressait, c’était le musical. Il a donc ajouté aux chansons de belles images, rien de plus. Les passages non chantés sont très peu nombreux dans cette adaptation de près de 3h. 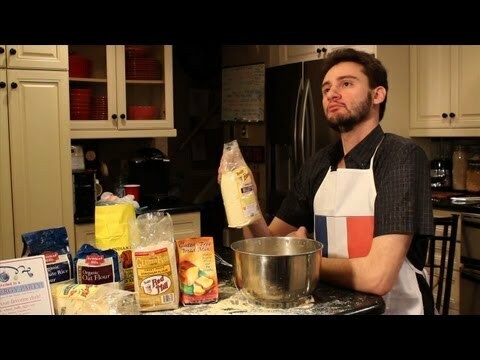 «Pas de comparaison possible !», vous lancerons les fans anglosaxons, «Soit vous murmurez les mélodies en choeur avec l’écran, la larme à l’oeil, soit vous souffrez en silence» tout en publiant parodies, flashmobs et autres memes sur la toile. Les Misérables m’a fait souhaiter pour la toute première fois d’oublier ma nationalité, en vain. Mais à qui la faute : à mon statut de Français coincé sur ses positions ou à Hollywood et sa constante volonté de traduire toute oeuvre en produit du cinéma-monde ? Là où Hooper manque une nouvelle fois sa cible, c’est sur son abus de fidélité. Sa création aurait peut-être connu une meilleure appréciation de ma part si elle avait été sur scène. L’intérêt d’un film se trouve dans l’émotion, dans la possibilité de capturer un moment qu’une audience ne pourrait pas voir, or le réalisateur a appuyé sur le fait que tous les acteurs ont chanté en direct. Et ils sont quasiment tous tombés dans l’écueil du concours de voix plutôt que de la recherche d’émotion, à grand renfort de grimaces. 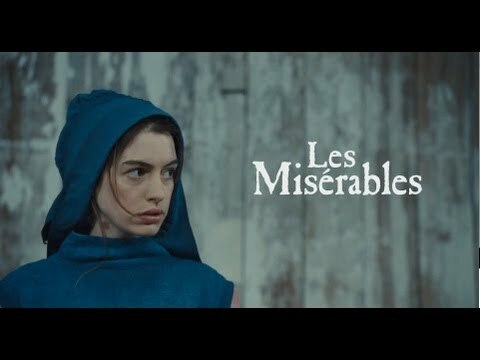 Seule Anne Hathaway ose ne pas chanter juste pour son personnage de Fantine, mais meurt au bout de vingt minutes, laissant la place aux autres pour le carnage (mention spéciale à la ridicule scène finale, patchwork des 2h50 précédentes sans grande logique). En l’absence de giclées de sang burtoniennes ou de dynamisme graphique, de grandes panoramiques saturées et de longs travellings mous ne parviennent pas à réveiller. Le spectateur n’a qu’une envie lorsqu’un des personnages se trouve face au vide : le pousser pour en finir. Il envisage même d’arracher le tissu rouge de son fauteuil en guise de drapeau de fortune pour révolutionner cette séance interminable. Dépité de se trouver seul en territoire britannique qui chante les louanges de ce calvaire, le critique rumine dans le noir le manque de second degré ou d’inventivité par rapport à l’oeuvre de Broadway. Car l’original est bien loin de la mémoire du réalisateur. Serait-ce la faute à Voltaire ? CA FLIM : Métaciné digeste, ou plutôt digetse. IL A OSE : Critiques, le couteau sur le négatif.